Why does Ortega Díaz consider that crimes against humanity have been committed in Venezuela? Despite the fact that the Constitution, in its articles 25 and 26, orders the state to guarantee citizens an “expeditious justice, without undue delays, without formalities or useless restitutions” and orders judges to protect them and take the necessary measures to “immediately correct” any violation of their rights, the Supreme Tribunal of Justice (TSJ) wielded procedural arguments to avoid ruling on the arbitrary arrest of which the leader of Voluntad Popular, Yon Goicoechea, was victim. 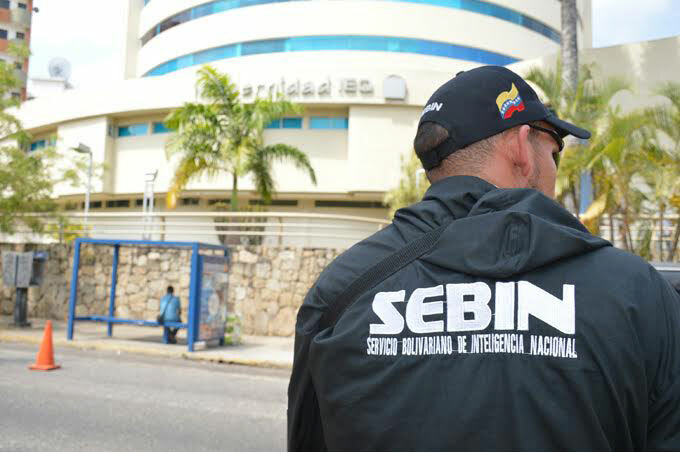 For the Constitutional Chamber, an alleged mistake in which the lawyers of the former student leader had incurred weighed more than the fact that Goicoechea had been arbitrarily detained in the dungeons of the Bolivarian National Intelligence Service (SEBIN) for almost nine months more than those authorized by the Judicial Power. The “error” of Goicochea’s defense was to file two protective actions before two different courts to get the release document issued by one of them (the 21st Control Tribunal of Caracas) in December 2016, and thus, achieve their client’s release. “The protective action was filed against two different courts for alleged different omissions of fact, which deserves a substantiation, one independent of the other. In this sense, it is clear that, in the present case, a typical case of inept accumulation of pretensions was configured, which, although not regulated by the Organic Law of Protection on Constitutional Rights and Guarantees, nevertheless, in accordance with what article 48 eiusdem prescribes, it is applicable, additionally, the provisions that the Code of Civil Procedure contains in this regard, “said the Magna Carta interpreter in his judgment number 1004 of 30 November 2017, in which answered to a new action presented on 17 July of the same year by Goicoechea’s representatives against the courts omissions. In the ruling drafted by the President of the Chamber, Justice Juan José Mendoza, the criterion of the instance that different protections for the same facts before different courts cannot be filled, was reiterated, because “it cannot be expected that the same court decides on several complaints of alleged violations or threats to rights and guarantees of constitutional order that cannot be attributed to a single offender, since the diversity of actions brought in protection will lead to the incompetence of the jurisdictional body to hear about one or several of them”; and therefore the petition of the opposition leader representatives was rejected. In none of the five pages of the judgment did the Chamber even mention the situation of contempt -in which the SEBIN incurred in- in failing to execute the release document issued in favor of Goicoechea, despite the fact that this instance has been implacable with the alleged National Assembly’s non-compliance with its decisions and those from other judicial instances. Moreover, it took five months to issue its verdict, despite the fact that the Constitution establishes that the protective action proceeding “will be short”, and because it is an issue where the freedom of a person was at stake, it should have given “preference” when resolving it. This is not the first time that the TSJ avoids ruling on the contempt of the intelligence body for decisions in favor of dissidents. In December 2016, in its judgment 1102, it refused to rule on the case of commissioner Coromoto Rodríguez, chief bodyguard of the then Speaker of Parliament, Henry Ramos Allup, who also remained in a SEBIN dungeon despite the fact that the Office of the Attorney General refused to prosecute him. On that occasion, the argument put forward by the interpreter of the Constitution was that the aggrieved person “is currently free” and, therefore, there was no reason to establish his position.